(17-06-2017, 06:48 PM)Ecksters Wrote: This is awesome, how simple would it be to do this in OoT? I can see many people liking something like it for the Haunted Wasteland section, you should be able to colorize the polygons that are safe and which ones void out. 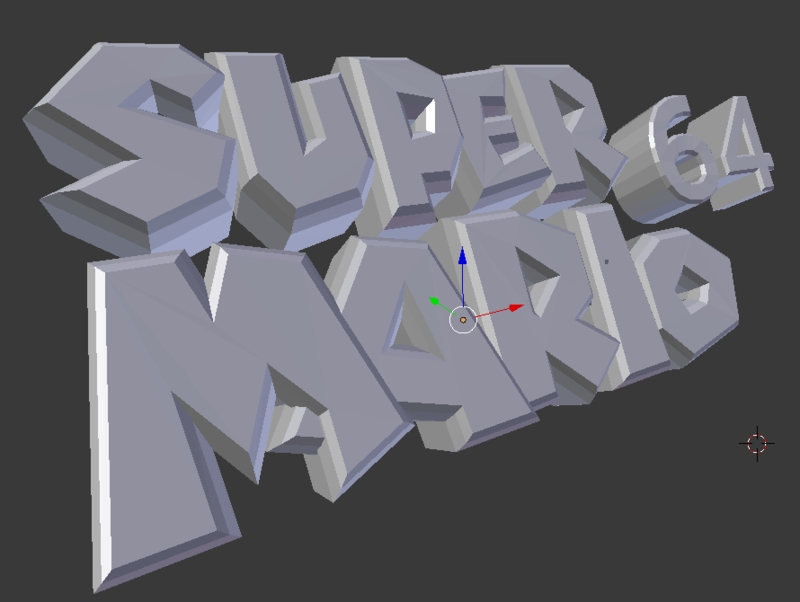 This should definitely be possible, but OoT's collision data looks more complicated than SM64's. If there is documentation somewhere on how the collision data is structured in RAM, I could give this a shot. Will be addressing most of this stuff soon, thanks for the suggestions. Really like the enum and dynamic symbol ideas . Is there anyway I could use this to track memory it's displaying. And tell the tool to ignore them in display. To make it easy to find the memory path I'm looking for? If I understand correctly, you want to filter out specific memory addresses? The Symbols tool should be useful for that. Try right-clicking data in the memory window then click Add Symbol, then Debugger -> Symbols... to see what you've added. that's not it. i need to be able to mark the memory or highlight it. so when new memory is displayed it will not show or mark/highlighted the memory. kinder like when i used to make modded menus for gta v. scan all the offsets the games showing at the point in time. highlight it all. then select hide offset. 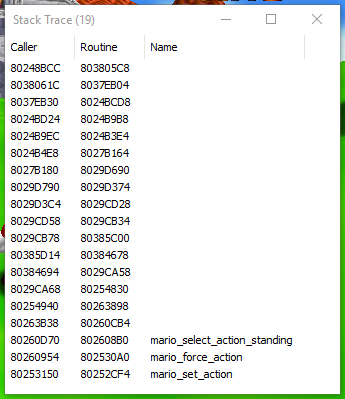 so 10,000,000 useless offsets are not showing to make it easy to find e.g players speed jump ammo etc. what im trying to achieve. is to find the memory path of yoshi voice. but sitting at the char select screen. mark/hide the memory being displayed. then selecting yoshi. and see what memory is being displayed. Been a while since I last popped in! I'm working on a tool that makes it easier to mess around with the graphics microcode, and it's off to a good start. I'd like to display DMA log information when clicking on the commands, to make the process of tracing uncompressed gfx resources back to ROM effortless. 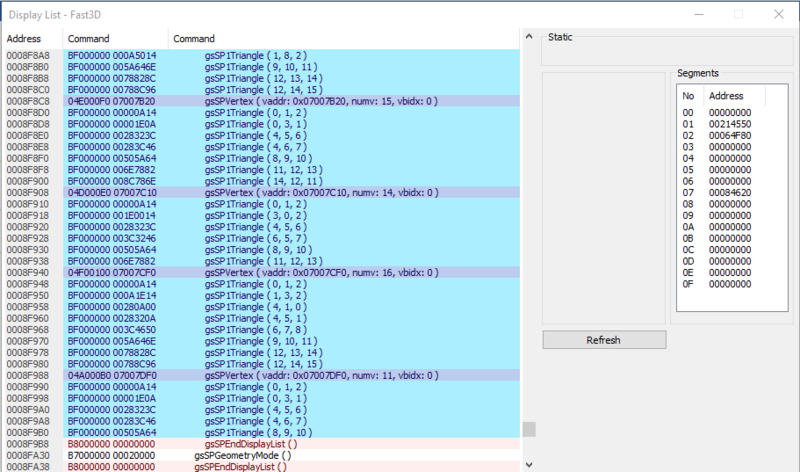 Back on the MIPS side of things, I added a stack trace window to show the chain of active functions. You can doubleclick the routines to visit them in the commands window. This should eliminate the need to copypaste the RA register a million times while backtracing. Fixed Rdram Address=536870912 under [default] in Config/Project64.cfg (this puts the memory base at 0x20000000 for Cheat Engine, etc). one thing that could be beneficial to making dlist viewing less overwhelming is adding in some code to detect macros that generate multiple "instructions"
It's been quite a while since I've worked on this, but I went ahead and put up a new stable snapshot link since the last one was ancient. Most notably, the debugger window now has all the memory mapped registers, annotations are shown for special read/write instruction addresses, and the RSP debugger's register window has been fixed. Hey first all of all, thanks for this awesome fork! I'm currently messing with the N64 sdk trying to make some homebrew stuff, and I was wondering if this could be used to "capture" calls to "printf" or "osSyncPrintf". It would be very useful to debug some stuff when developing.